Successful Merchandise Management is possible only through a tried and tested ERP Solution and MS Dynamics Axapta proves to be just that. One of the best ever Microsoft Business Solutions, AX helps manage various facets of Merchandise Management with effortlessness. 1. 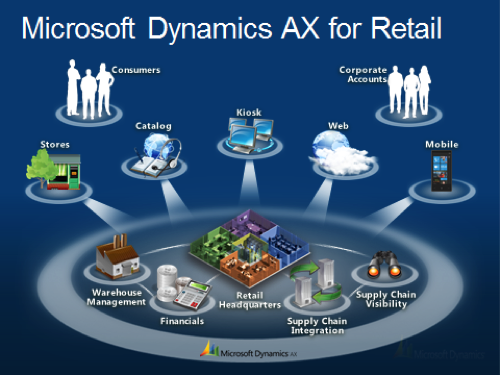 One of the finest ever Microsoft Business Solutions, AX offers functionalities for Centralized Store Management that include visual and functional profiles, user interface layouts, employee permissions etc. All of these mentioned above can be done on the Dynamics AX as far as Merchandise Management is concerned.